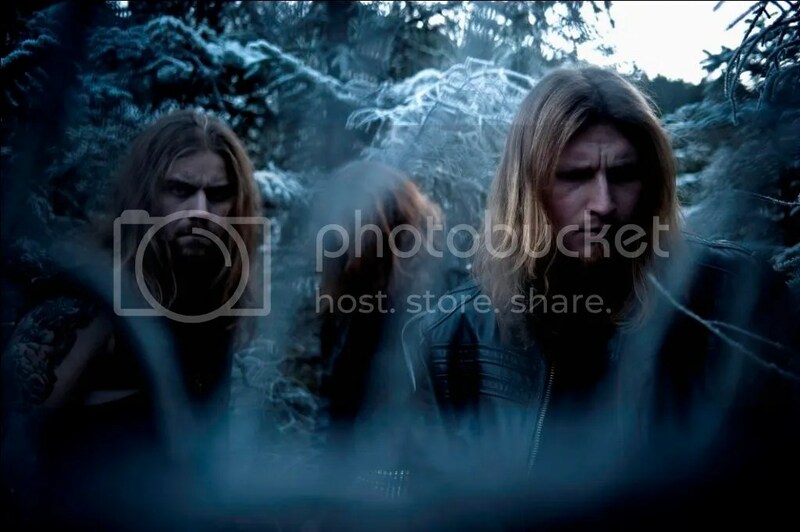 Norwegian blackened thrashers BYFROST have inked a deal with Germany’s AFM Records, who are set to release the band’s sophomore album before the summer. “Of Death'”, will be recorded at the Conclave and Earshot Studios in the band’s home town of Bergen, and will be produced by ENSLAVED’s Herbrand Larsen and VULTURE INDUSTRIES’ Bjornar Nilsen, who had also produced BYFROST’s debut album. Mastering will be carried out by Knut Fug Prytz at Magica Mastering. Formed in 2007 by guitarists HeavyHarms and R.I.P Meister, BYFROST originally started life as a four-piece, before settling as a power-house trio composed of HeavyHarms on guitars and vocals, R.I.P Meister on five-string bass and HELLISH OUTCAST’s Alkolust on drums. The band’s first album “Black Earth”, which included a guest appearance by ENSLAVED’s Arve Isdal, was released to much critical acclaim in April 2010, and demonstrated the band’s ability to skillfully merge cold, dark, riffs with a touch of the melodic. BYFROST’s reputation as skilled musicians coupled with a dynamic stage presence was consolidated by a series of live dates that included appearances at the Hole in the Sky and Karmoygeddon Festivals, the launch of Terrorizer Magazine’s Norwegian Grindhouse venture, and, along with ENSLAVED, at a special concert to celebrate the 20th Anniversary of the Garage, Bergen’s foremost venue.